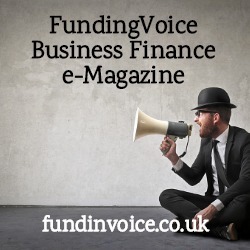 The March 2019 edition of FundingVoice magazine is now available online. A comparative of the available online ratings about different invoice finance companies. Our free guide to growing your own business. A new product launch, FlexiCredit from Ultimate Finance. A cost saving found for a recruiter. An article about the application of blockchain technology to invoice funding. As always, please subscribe (there's no charge) to ensure that you get future editions direct to your inbox each month.